MOAB, UT– The red rock playground better known as Moab, UT, has scaled the heights to become one of the country’s most sought-after destinations for active vacations. When first-time visitors to the region choose to experience all that Moab has to offer, more bang for the buck comes with advance planning and using local guides who know the territory best, suggests Jamie Pearce, Manager of the award-winning Moab Adventure Center (http://www.moabadventurecenter.com/). Pearce and her staff highly recommend choosing one of their three time-driven, guide-assisted adventure packages to fully enjoy this small town surrounded by two national parks, Arches and Canyonlands, and the mystique of the Colorado River. Moab Signature Multisport Package is a short escape offering the most popular Moab adventures over two days: a Colorado River rafting trip, a two-hour Hummer Safari into the adjacent backcountry plus an exploration of Arches National Park on a professionally guided hike. The rate is $212 for adults and $154 for ages 5-15. Moab lodging (on your own) is available at a variety of motels, campgrounds and lodges. See: http://www.moabadventurecenter.com/trips/packages/hummer-raft-hike.php. This package can be upgraded to include a full-day rafting trip with lunch and a special sunset Hummer safari for just $35 more per person. Offered Mar. 15 through Oct. 21. Southwest Sampler spans four days and three nights. Guests spend two nights at Moab’s quirky and stylish Gonzo Inn near shopping and restaurants, just a short walk from the Moab Adventure Center while hiking and touring Arches National Park capped by an off-road sunset Hummer Safari. Two days of rafting the Colorado River follow, including one night of star gazing while camping riverside. The rate (including all-inclusive camping) is $625 for adults and $525 for ages 5-15. Offered May-September. Recognized nationally as a mecca for outdoor recreation and spectacular scenery, National Geographic named Moab #1 among America’s 10 Best Mountain Bike Towns. http://www.nationalgeographic.com/adventure/trips/best-mountain-biking-towns/. Moab was included in Matador Network’s Top 10 in a 2016 ranking of “America’s 20 Coolest Outdoor Towns for Adventure.” https://matadornetwork.com/trips/americas-20-coolest-towns-outdoor-adventure/. Smarter Travel’s 2016 ranking of the “10 Best Outdoor Towns in America” slotted Moab in its honored Top 10. The Moab Adventure Center website suggests other activities and info on lodging and where to eat in Moab. The Center recommends, due to its popularity over spring and summer weekends, to have lodging reservations in hand before coming to the region. Pocket Guide Moab: Last Minute Itineraries for the Undecided Traveler is also a good resource to the area. Moab Adventure Center is a division of Western River Expeditions (www.westernriver.com) an adventure travel company headquartered in Salt Lake City, with operations and offices in Moab and Fredonia, AZ. 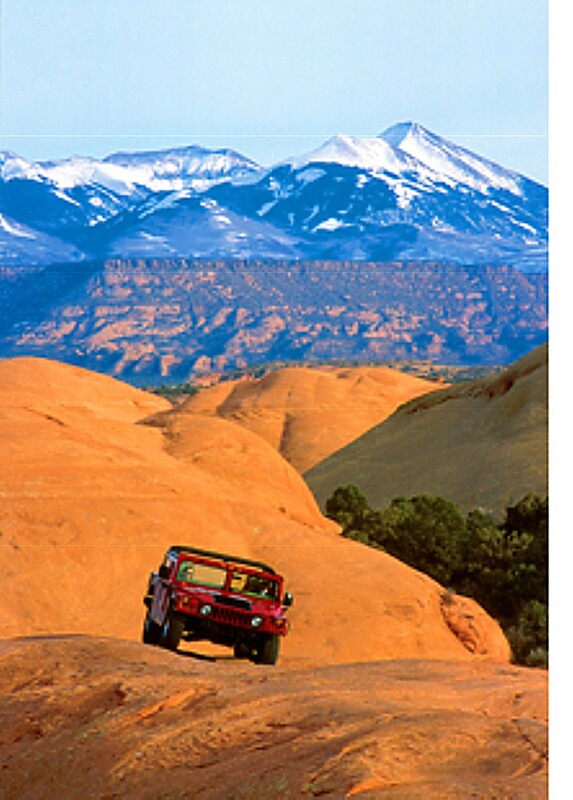 The company is the largest single tour provider in Moab. The Moab Adventure Center is located at 225 South Main St., Moab, UT 84532. For information and reservations call (435) 259-7019 or (866) 904-1163 or send an email from http://www.moabadventurecenter.com/contact/. The center also has a 2,000-square-foot retail space selling adventure related gear, clothing and souvenirs. Creating a family vacation in Moab is easy enough once the family has decided how many days they can be in the region. Then it’s a matter of getting everyone up and out early so that at least two activities can be scheduled each day. Older youth may want to do some slick-rock mountain biking and zip lining; everyone can partake of hiking, guided or not; and just possibly Mom and Dad can get away for a romantic hot air balloon ride over the mysteries this landscape holds. To make it easier to get to Moab there’s a new air service from Salt Lake City and Denver into the region. San Francisco-based Boutique Air provides passenger airline service to Canyonlands Field Airport. It provides two flights daily to Salt Lake City at $59 per flight and one flight daily to Denver at $79. The airline will provide five flights per day during Moab’s busy tourist season. Moab Adventure Center is at the epicenter of nature-themed rather than theme park-style adventure, promising activities that include rafting, jet boating, stand up paddle boarding, hiking, mountain biking and hot air ballooning. Hummer safaris, rock climbing, canyoneering and horseback riding are also popular. Many of these activities are conducted with guides, an arrangement that helps preclude the kind of impact to the land that can happen when uneducated visitors venture into areas where they perhaps shouldn’t be. Guides help people understand how and where they can move through back country areas with the least trace possible. Year-round occupancy for the area’s 3,500 beds runs between 74 and 80 percent, primarily from March through November. While availability on Moab Adventure Center’s rafting, hot air balloon and other activities can usually be accommodated, lodging may be an issue and people should book accommodations well in advance. 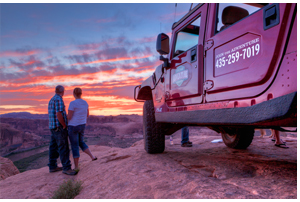 For pre-trip-planning and reservations,visit the Moab Adventure Center website where a catalogs, trip guides and the Moab Insider’s Guide can be ordered. See http://secure.moabadventurecenter.com/express/inquiry/ or call 866-904-1163.